This was intended to be a fishing outing, not a storm observation outing - but since I knew there could be thunderstorms, I took the camera along. Turned out to be much better storm observation than fishing! A few minutes later, the wind and rain came. The wind was very strong; I would estimate the peak gusts to have been at least 60 mph, though I had no way to measure it. The storm produced measured gusts earlier of 45 mph in Taos and later of 55 mph in Raton, but the strength of the storm was at its peak when it swept down from the mountains, and it was appeared much more intense overall around the time it reached my location in Eagle Nest Lake State Park than it was a half hour to hour earlier or later when it would have been in those areas. 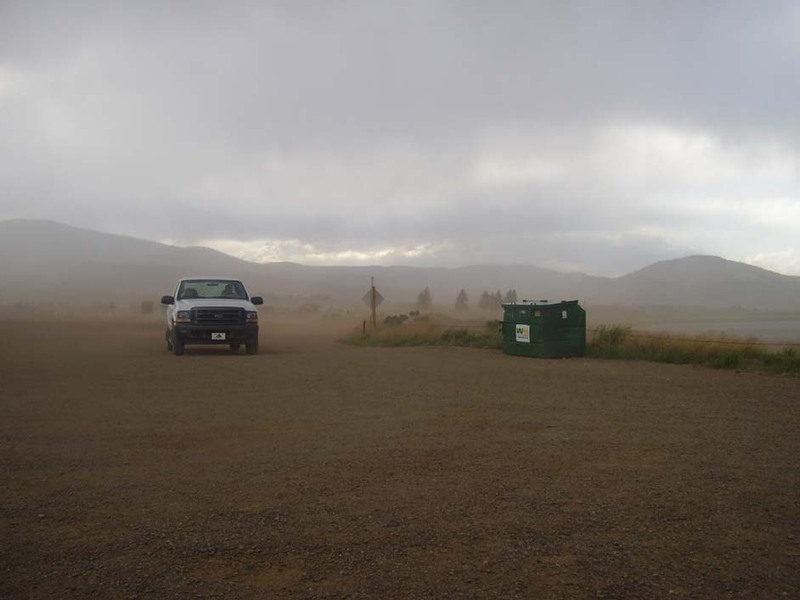 Due to the intensity of the wind and the dryness of the area, the storm kicked up a lot of dust even as the rain was coming down. 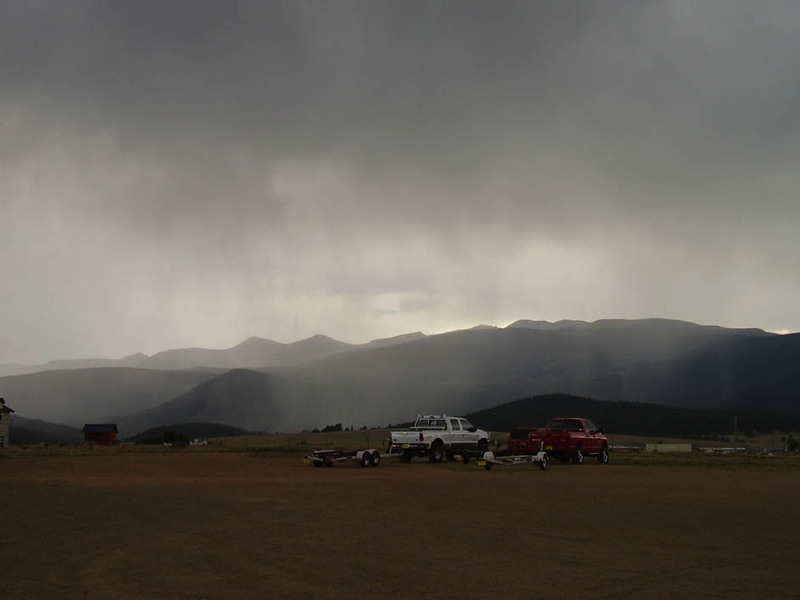 In this picture, visibility was being reduced at the same time by both blowing dust and falling rain. 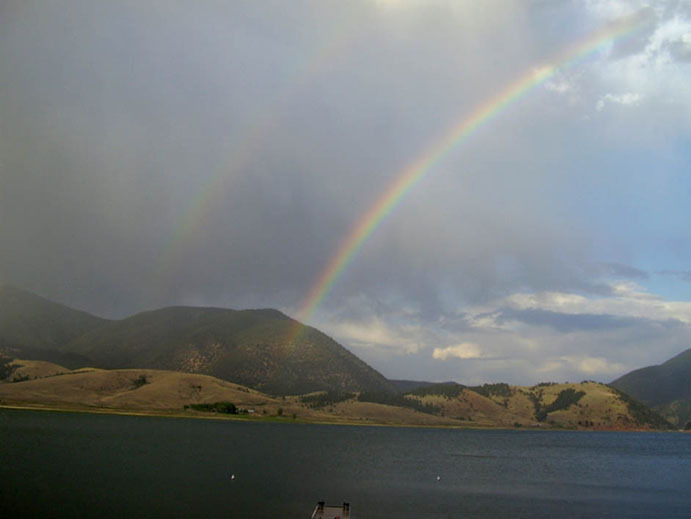 And as the storm swept over the lake, it carried dust right across the surface of the lake, as shown in this picture. 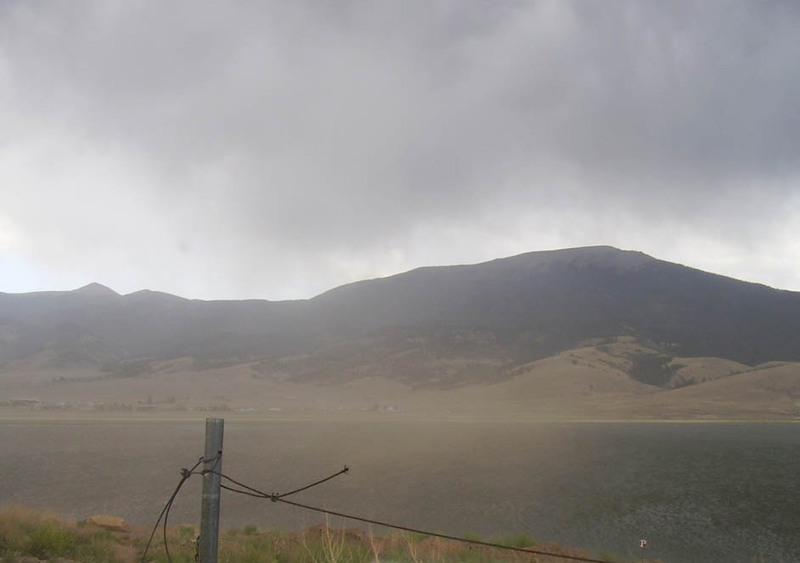 Note also that the mountains on the other side of the lake are being partially obscured by falling rain, even as the dust blows across the lake. Before long, the storm was well off to the northeast and continuing to weaken, but still made a pretty sight. 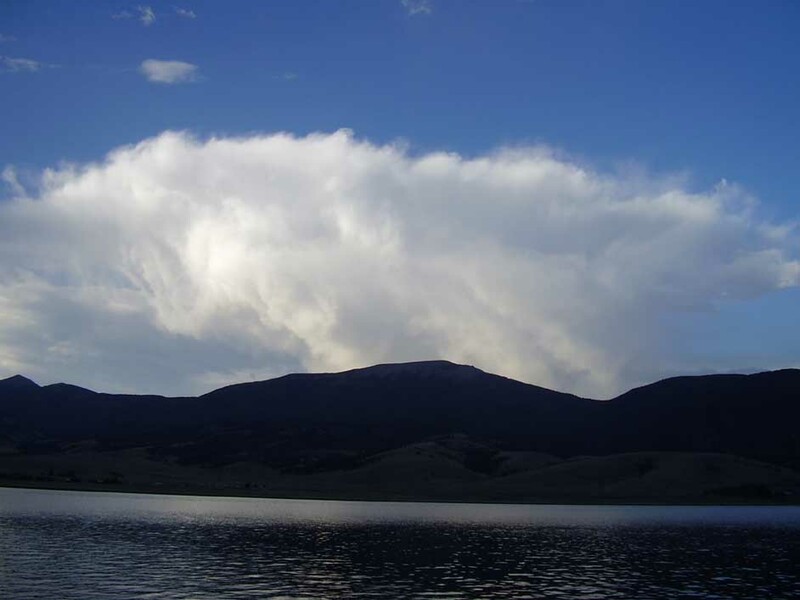 Later, two weaker rain squalls without thunder and lightning moved over, as convection continued to occur over the Wheeler Peak area and then sweep down over Eagle Nest Lake. I never did catch any fish that night, but the storm pictures more than made up for it!